What analysis methods do you include in DeepEX software? Walls are analyzed with limit equilibrium method. Supports are fixed and each stage is independent. Thus, wall deflections (and likely wall bending moments) are not realistic for cases with multiple supports. Walls are analyzed with an elastoplastic analysis approach (Winkler springs on active and passive sides). Initial stage is geostatic with no excavation. Displacements, wall bending moments, etc. depend on construction staging, soil and support elasticity. Walls are analyzed first with limit-equilibrium approach and wall embedment safety factors are stored. 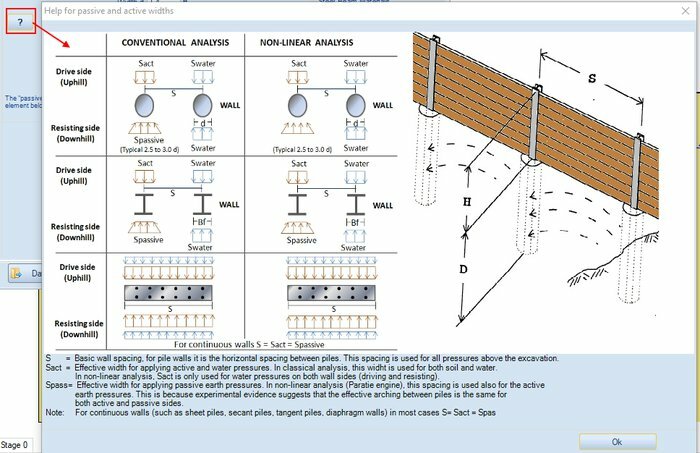 Then an elastoplastic analysis is performed and all other results (wall moments, deflections, shear force diagrams, support reactions etc) are produced. Which analysis method should I use? We usually perform all types of analysis and consider the most critical results. Conventional Limit Equilibrium Analysis Method is usually required. 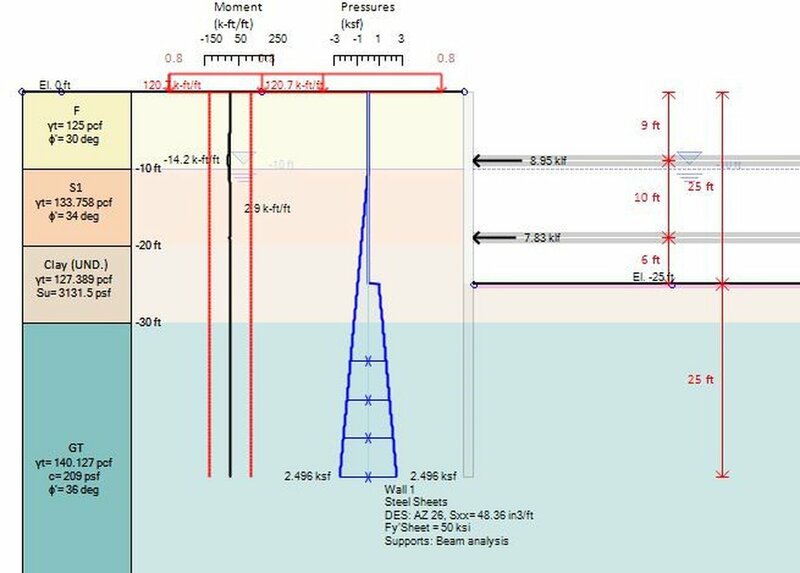 Non-linear Analysis Method results are usually more realistic, especially in multi-level excavation projects, since the construction staging is taken into consideration. Finite Element Method is considered to produce very accurate results. It can analyze conditions that consider full soil-structure interaction. Is DeepEX a Finite Element analysis software? DeepEX introduces a new additional module, the Finite Element Analysis. 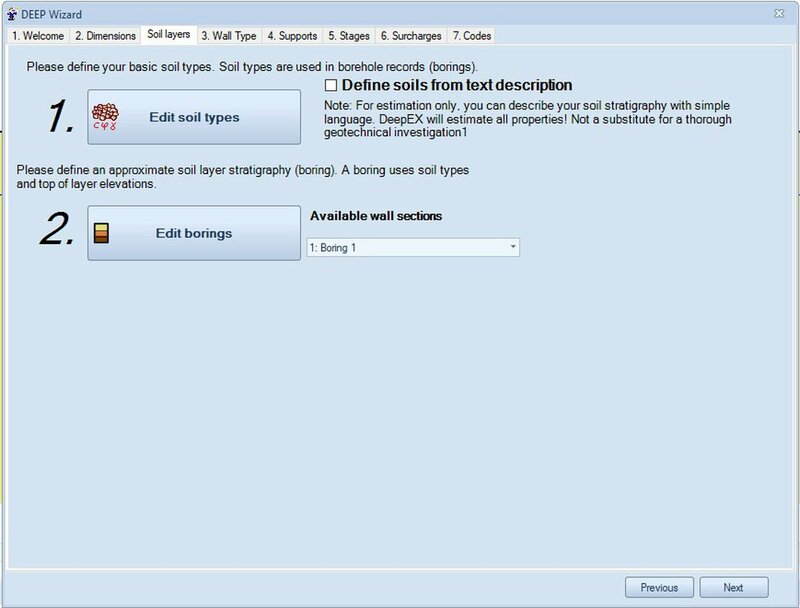 The new module enables users to analyze conditions, that consider full soil-structure-interaction. Elasticty models include Linear elastoplastic, and hyberbolic soil model. With finite element analysis capabilities, DeepEX provides practically all methods of analysis for deep excavation design. The basic version does not include Finite Elements, though, our Non-linear analysis engine produces close-to-the-reality wall deflections and wall moments. External comparisons prove that the results using DeepEX are very close to the one produced by other Finite Element analysis programs. What water analysis methods do you include in DeepEX? Hydrostatic: Applicable for both conventional and elastoplastic analysis. In ELP, hydrostatic conditions are modeled by extending the “wall lining” effect to 100 times the wall length below the wall bottom. Simplified flow: Applicable for both conventional and elastoplastic analysis. This is a simplified 1D flow around the wall. In the NL analysis mode, the traditional NL water flow option is employed. Full Flow Net analysis: Applicable for both conventional and elastoplastic analysis. 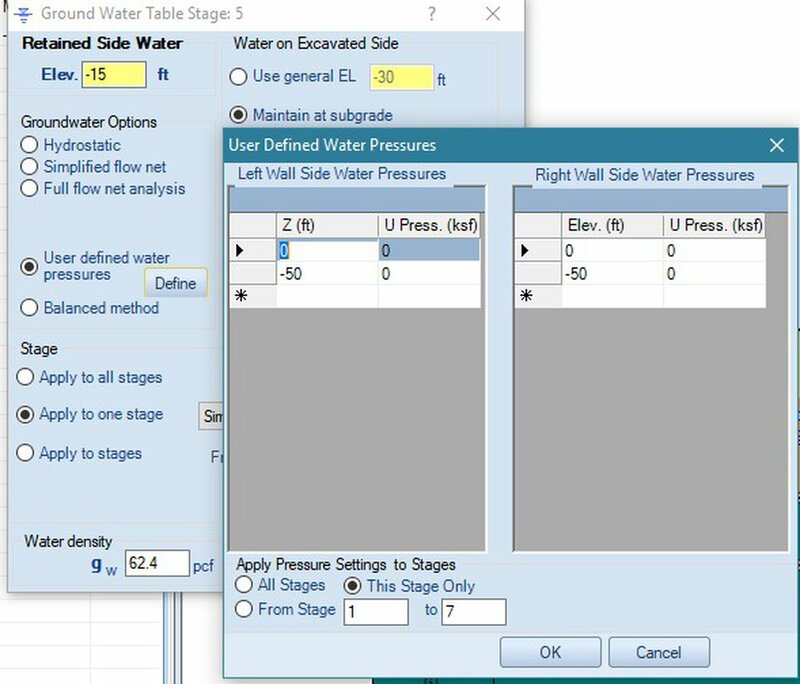 Water pressures are determined by performing a 2D finite difference flow analysis. In NONLINEAR, water pressures are then added by the UTAB command. The flownet analysis does not account for a drop in the phreatic line. User pressures: Applicable for both conventional and NL analysis. Water pressures defined by the user are assumed. In the nonlinear analysis, water pressures are added by the UTAB command. How am I sure that the results produced by DeepEX are accurate? We have checked thoroughly all aspects and methods included in DeepEX. We have performed extensive verification examples, matching deflections from real projects throughout the United States. We can provide on demand an extensive verification document, containing a big number of verification examples, comparing software results with manual calculations and calculated deflections with real-project measurements. Which wall types can I design using DeepEX? Custom walls, that can be used to simulate any other wall type. Can I include more than one wall types or wall sections in the same model? 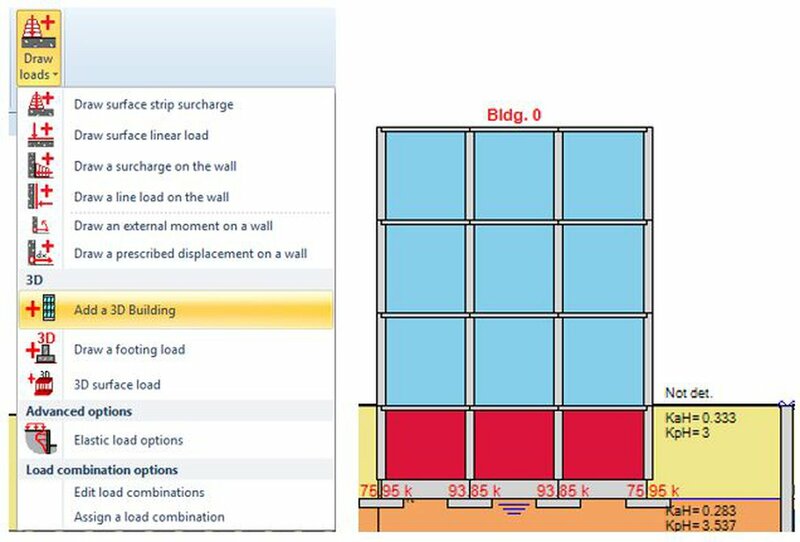 In DeepEX, the user can create several wall sections that can be assigned independently to the two main walls or to additional wall elements. 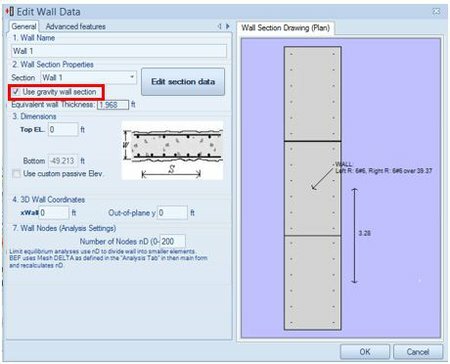 The list of wall sections is global in the specific project file, meaning that the same or any sections from the list can be used in different walls of different design sections. Is staging taken into consideration in DeepEX? In DeepEX it is recommended to create all intermediate construction stages. The software calculates and presents results for each stage, which is important since the last stage is not always the most critical one. In Limit Equilibrium Method, each stage is independent, thus wall deflections (and likely wall bending moments) are not realistic for cases with multiple supports. In Non-linear analysis method the initial stage is geostatic without excavation. Wall deflections and wall moments depend on construction staging. How can I change the default DeepEX parameters? 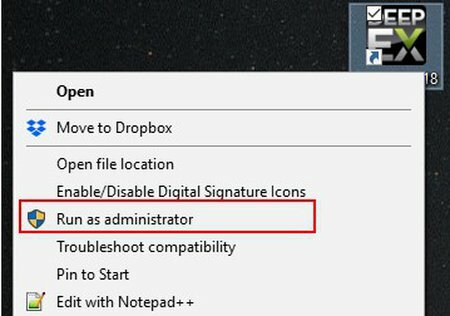 In order to change the software default settings, the user has to start the software as administrator, open the Settings dialog from the Help tab and press to set the current project as default. A. With the software closed, take the mouse over the software icon in your Desktop and RIGHT-CLICK on it. B. From the menu that appears, please select to run the software as administrator. 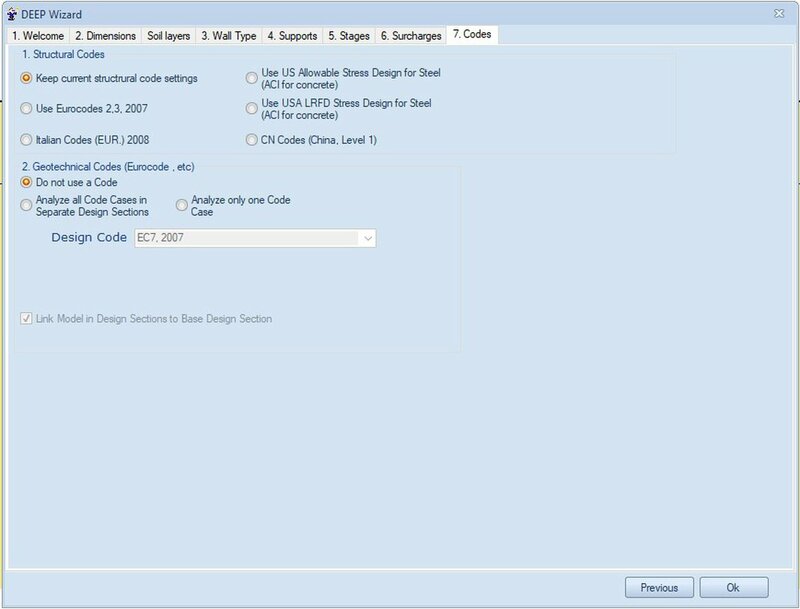 C. Then, the Default settings dialog can be accessed in the Help tab of DeepEX, perform the changes and select to set current project as Default. This will change the default file that opens when the software normally opens. How does DeepEX take into consideration the load from nearby buildings? In the dialog that appears we can define the exact load possition, magnitude and type (permanent/temporary). 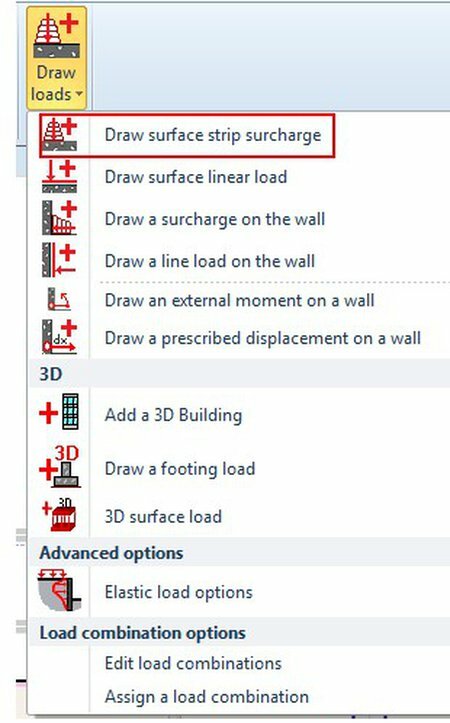 In addition, if we wish to include the building foundation, we can unselect the option “Is Surface”. This way we can also edit the load elevation, defining the foundation level for the load application. Can the wall section change along the wall depth? DeepEX offers the “Draw left/right wall element” tool. This allows the user to actually draw an additional wall element that can be placed either along the main wall, or on the left or right side of the main wall. A. 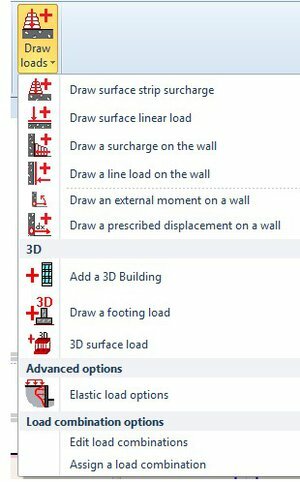 Double click on the wall, edit the wall section and create all the wall sections that you need to use in your model. B. Define the position, top elevation and depth of the main left wall. C. Press on the arrow next to the option Edit 1st wall of the General tab of DeepEX and select to Draw left wall element (see figure below). D. Draw an additional wall element below the main wall (click on 2 points). In the dialog that appears, define the wall section and position of the additional wall. How do I simulate a traffic or construction load? In the dialog that appears we can define the exact load possition, magnitude and type (permanent/temporary). Pressing “OK” on the “Edit distributed load” dialog, will apply the changes on the model area. User can access the Edit load dialog any time by double-clicking on it. In addition, we can right-click on the applied load and select to activate/deactivate it in any construction stage. Can I add an external surcharge in my DeepEX model? External loads can graphically be added in the model area, using the draw loads tools provided in the General tab of DeepEX. Adds a surface surcharge (define the start and end point of the surcharge). Adds a surface line load (click a surface point to add a point load). Adds a surcharge on the wall (define two wall points to add a surcharge). Adds a footing load (3D) (define a point where to install a footing load). Creates a new building (define a point where to install a building). Adds a 3D surface load (click on it and draw a 3D load in the Plan view screen). Click to manage the elastic load options (see paragraph 4.8). Edit load combinations. Load combinations are user defined combinations where a load can be selected manually if it is favorable or unfavorable. Assign a load combination. With this option, a load combination can be assigned to a specific design section. Can I design both permanent and temporary walls in DeepEX? DeepEX can design both the temporary and the internal permanent walls. 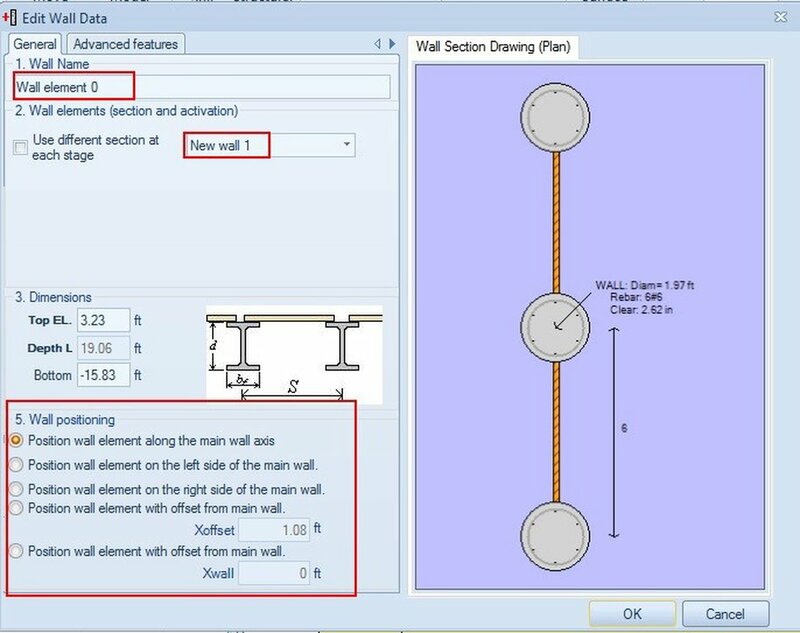 The user can add the permanent walls to the model using the “Draw left/right wall element” tool (see question #16). This allows the user to actually draw an additional wall element that can be placed either along the main wall, or on the left or right side of the main wall. The additional wall elements can be used as main or slave walls. Can DeepEX consider a sealed excavation? 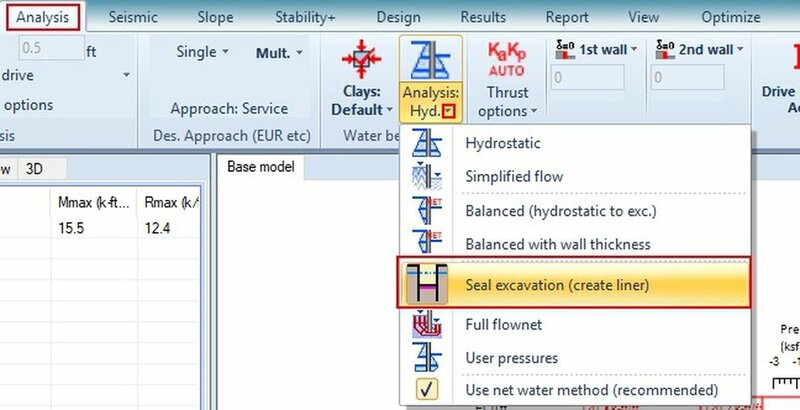 In the Analysis tab of DeepEX, we can choose to create a sealed excavation (create a liner effect). Can DeepEX calculate the seepage load? When the full flownet analysis is selected, DeepEX calculates the seepage load on the dewatering side. This result is presented on the Analysis and Checking Summary Table, which appears when the analysis is performed. - Width d is originally the H beam flange size (if you use H steel beams as soldier piles). These are supposed to be driven piles. If you wish to convert them to drilled piles, you change the width manually to actually specify the diameter of the hole were the steel beam will be installed and covered with concrete. If you do reinforced concrete piles, then directly the width d is the diameterth of the concrete pile. - S is the wall spacing. 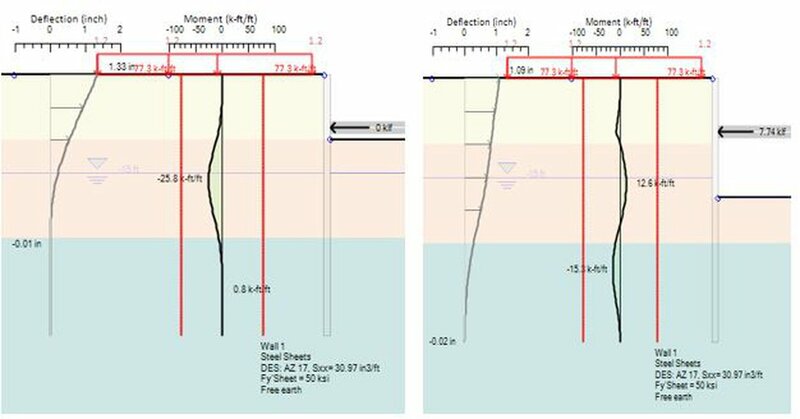 For diaphragms and sheet piles you can use the value "1 ft" or "1 m" to review the results on screen per ft (or per meter) of the wall. 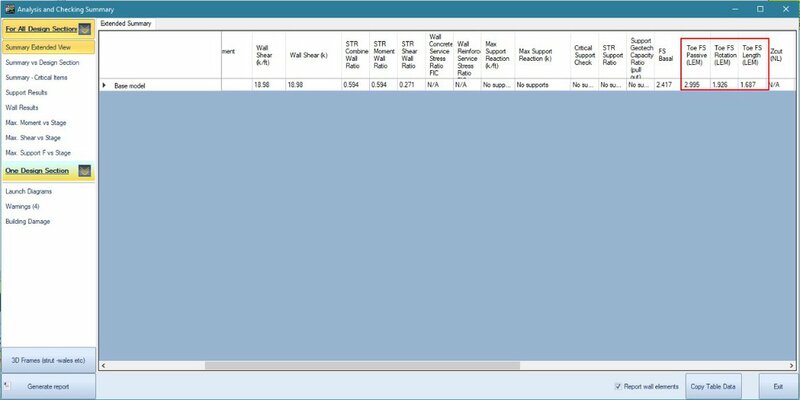 In general, all the result values reported on screen are divided with the wall spacing to be presented /ft (or /m). For secant pile walls you define the center to center distance for every other pile. For tangent and soldier piles you define the center to center distance of each pile. 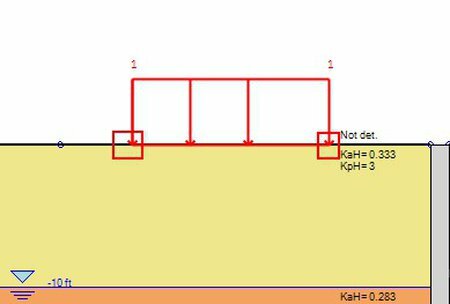 - The Passive, Water and Active widths are the widths used below the excavation for the calculation of passive, water and active pressures respectively. For continuous walls (like secant piles, tangent piles, diaphragms, sheet piles etc), normally you define the same value to all these parameters (Spacing = Water width = Passive width = Active width). For Passive Width: 2.5 to 3 times the pile width d (H beam flange width) (for driven steel piles) or 2.5 to 3 times the pile width d (diameter) (for circular drilled piles). This value is limited by the spacing, so if 2.5*Pile diameter > Spacing, you just use the spacing. For Water and Active width: These should be equal to the flange or pile diameter, depending on the pile type (as above). By pressing the "?" button in the wall sections dialog, all these options are presented and explained. Can I design a cantilever excavation using DeepEX? DeepEX can design cantilever excavations. 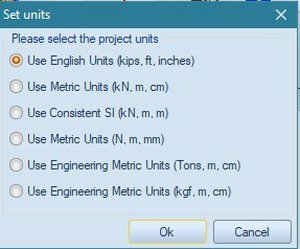 In Limit Equilibrium Analysis, user can select to use either the Free or the Fixed Earth Method for the cantilever calculations. Can I design a circular shaft using DeepEX? DeepEX can design circular shafts, either cantilever, or supported by ring beams and cap beams. 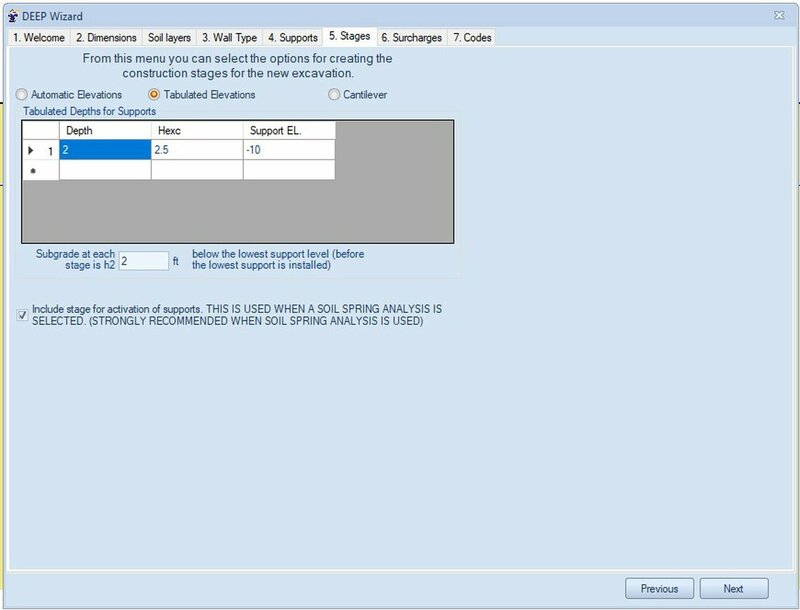 Open DeepEX Wizard and select the required unit system. 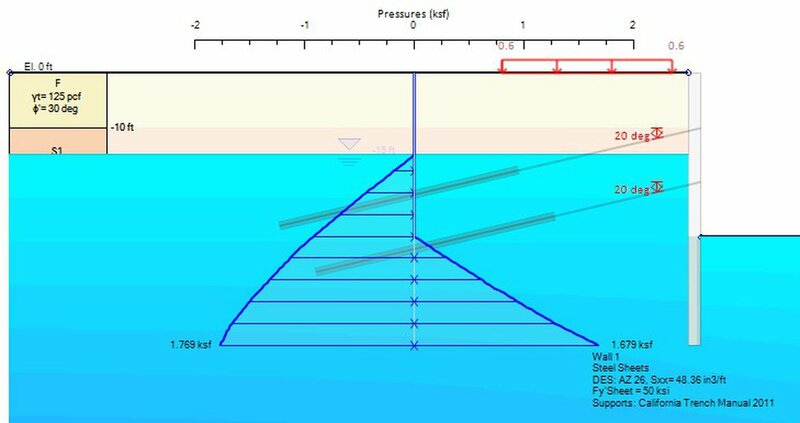 Select the analysis method, and the desired classical earth and water pressures method. Select the project type and define the basic project properties (final excavation depth, wall length, circular shaft radius, tip of the wall elevation and water table). Define the project soil properties and stratigraphy. 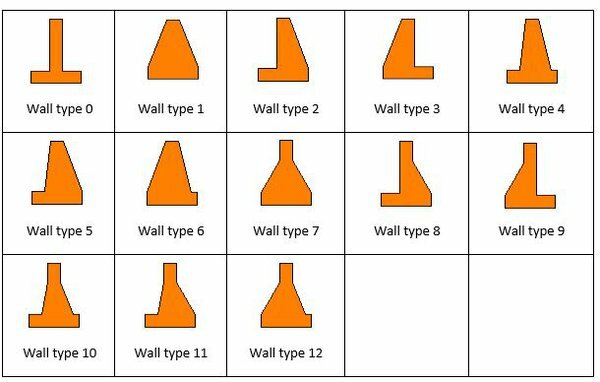 Define the wall section properties. Define supports (cap beam, liner walls, ring beam supports). Define depth for each support level. Define structural and geotechnical codes. Can I design a dead-man wall using DeepEX? DeepEX can design dead-man walls. The software takes into consideration the earth and water pressures, the external loads, as well as the interaction between the two walls. 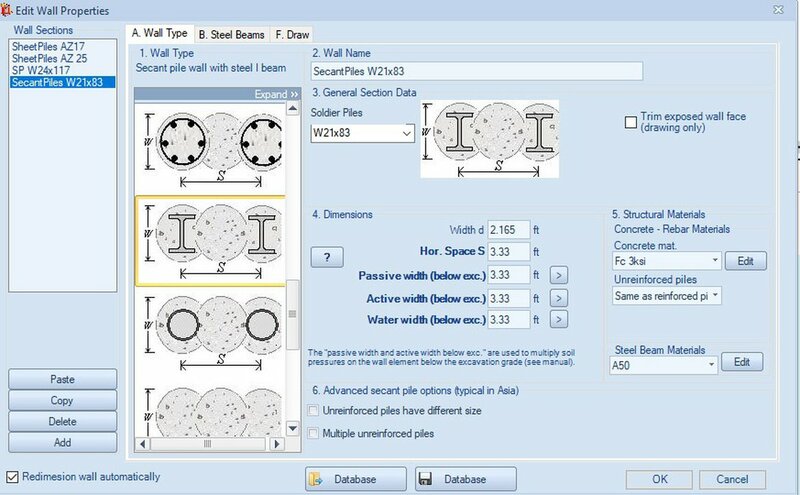 A dead-man wall can be created either by using the DeepEX Model Wizard, or manually in the model area with the tools included in the General tab of DeepEX. Initial Stage: Define wall section properties, soil properties and stratigraphy. No excavation should be performed in the initial stage. Support Installation Stage: In this stage you should draw a ground anchor support (tierod), connecting the two walls. You can define the exact tierod elevation on the wall, the exact spacing between the tierods and the tieback section properties. Backfill Stage: Backfill between the two walls up to the top of the wall elevation. Final Excavation Stage: Excavate to the desired final excavation elevation. Can I design a braced excavation using DeepEX? DeepEX can design braced excavations. 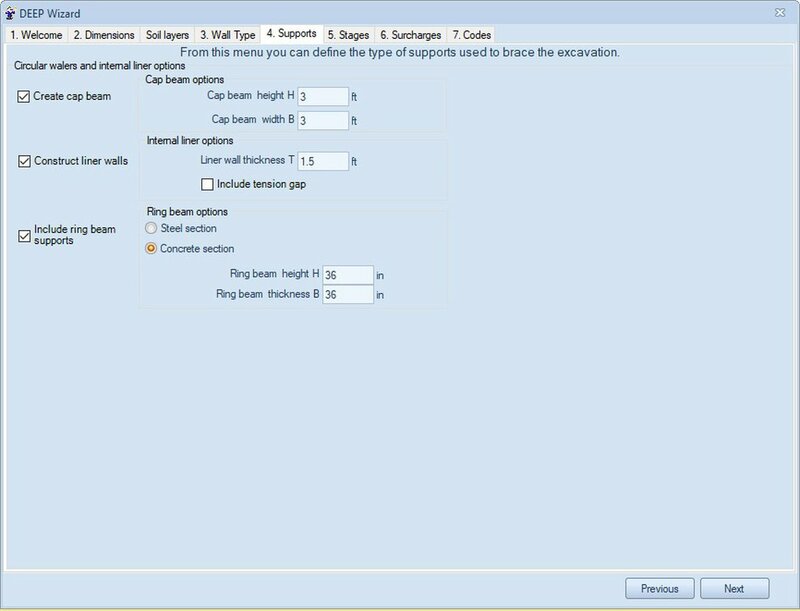 User can define multiple strut levels, as well as the strut and waler sections. The 3D Frame analysis module of DeepEX can be used to simulate the full shaft with all bracing for each support level. 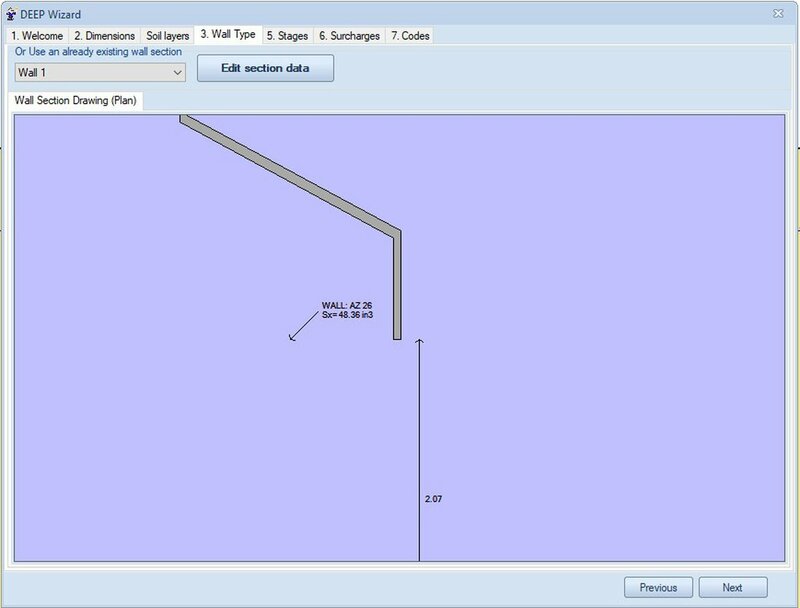 A braced excavation can be created either by using the DeepEX Model Wizard, or manually in the model area with the tools included in the General tab of DeepEX. Final Excavation Stage: In this stage you should excavate to the desired final excavation elevation. Can I design a top-down excavation using DeepEX? DeepEX can be used for the design and analysis of top-down excavations. Basement and intermediate floor slabs can be added as supports and they can be designed with DeepEX. 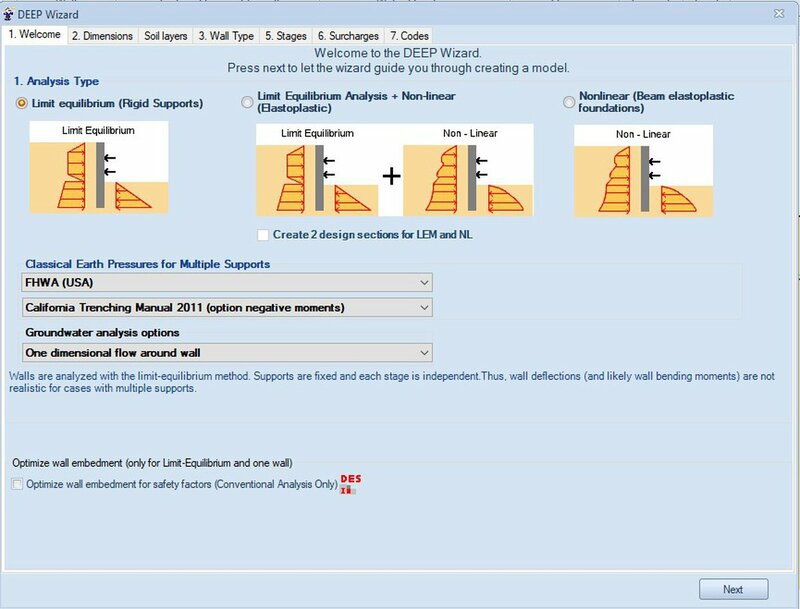 A top-down excavation can be created either by using the DeepEX Model Wizard , or manually in the model area with the tools included in the General tab of DeepEX. Can I design a bin-type wall using DeepEX? DeepEX can design bin-type walls. The two main walls can be connected with tierods and user can choose to excavate outside the walls. bin-type can be created either by using the DeepEX Model Wizard, or manually in the model area with the tools included in the General tab of DeepEX. 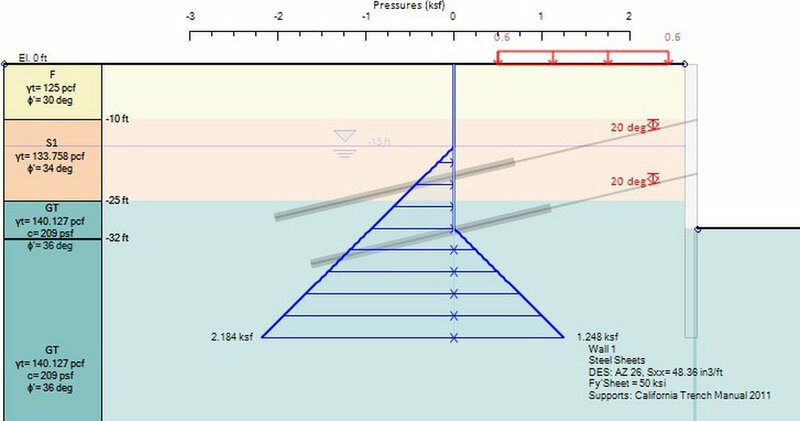 How can i design a gravity retaining wall with DeepEX? DeepEX offers the possibility to use a gravity retaining wall. This option is available with the additional Gravity Wall module. User has the flexibility to create basic types of retaining walls such as full gravity or with stem. Flexural, reinforcement can be included where ever desired. A gravity wall can also be used as a pier or an abutment wall with piles. The use of gravity wall in the model can be defined in the “Edit wall data” dialog of DeepEX (Figure 1). When the Gravity wall module is activated, there appears the option “Use gravity wall section”. The “Edit wall data” dialog appears when user double-clicks on the wall in the Model area of DeepEX. Figure 1: The Edit wall data dialog with “Use gravity wall section” option. Then the following option is selected, user should press on the button Edit Section Data. This will cause the “Retaining wall data” dialog to appear (Figure 2). 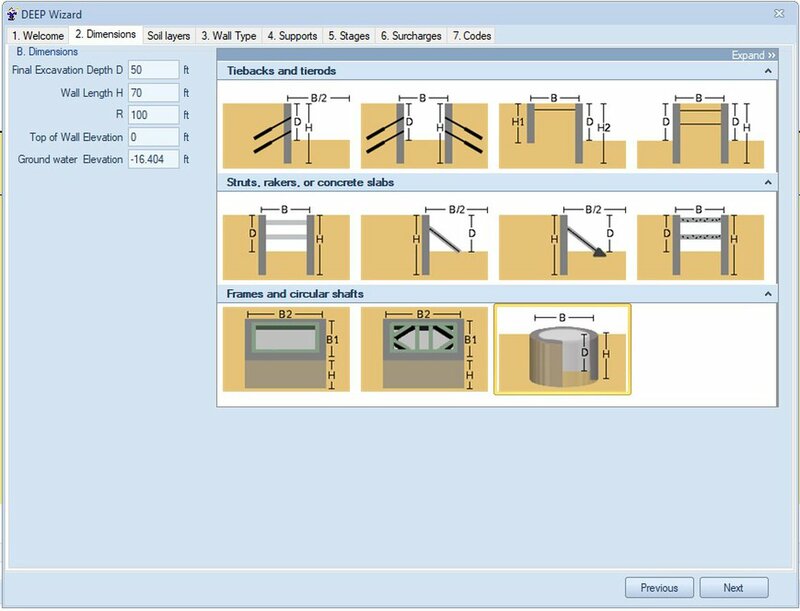 Here, the user can define the retaining wall dimensions and reinforcement. Depending on the selected wall type on the left side of this dialog, several dimension properties are available to be defined (Table 1). The reference coordinate for a gravity wall is taken as the left most corner of the stem (or top of wall). This coordinate is defined from the main wall data dialog. 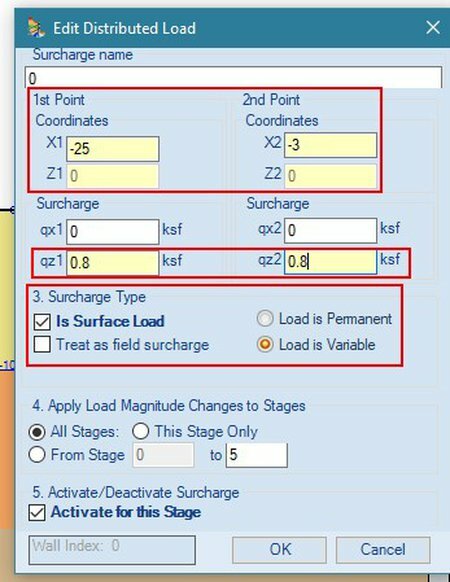 Calculate Driving Pressures from edge of wall: In the default mode, stability safety factors are calculated from soil and other pressures directly acting on the driving wall sides. While this assumption gives very good, approximate results, in theory the driving horizontal pressures can be taken at the wall edge. 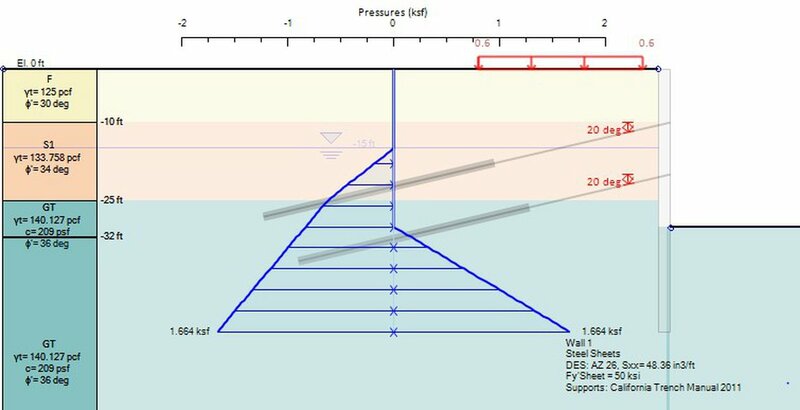 By selecting this option, safety factors are calculated by pressures acting directly on a vertical wall edge that is defined from the left most base coordinate if pressures are driving from left to right or the right most coordinate if pressures are driving from right to left. If this option is selected, then driving soil pressures on this vertical edge are always taken as Active or At-rest. The reinforcement data table enables the use of reinforcing bars on each wall face. Please note that DeepEX does not account for development lengths and reinforcement bending. It is the final responsibility of the engineer to decide how reinforcement has to be bent, cut, or shaped for fabrication. DeepEX though will calculate and report all bending and shear capacities. Can DeepEX optimize the wall length? A. 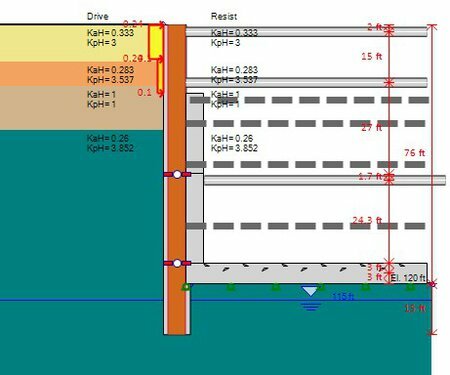 Define the wall depth manually and check the calculated wall embedment safety factors. After the analysis is performed, the Analysis summary table appears. There wecan review the most critical results among all stages. We have to make sure that all 3 wall embedment factors (length, passive, rotational) are above a limit (typically this could be 1 , 1.2, 1.3, 1.5 depending how you design). When using the Limit Equilibrium Method (LEM), the wall length can be optimized based on the wall embedment safety factors. This option can be located at the Design Tab of DeepEX and it is available only when LEM analysis is selected. There, the required safety factor can be defined for the cantilever stage and for the supported excavation stages. The software will change the wall length to achieve the wanted wall embedment FS. Can DeepEX optimize the wall section? 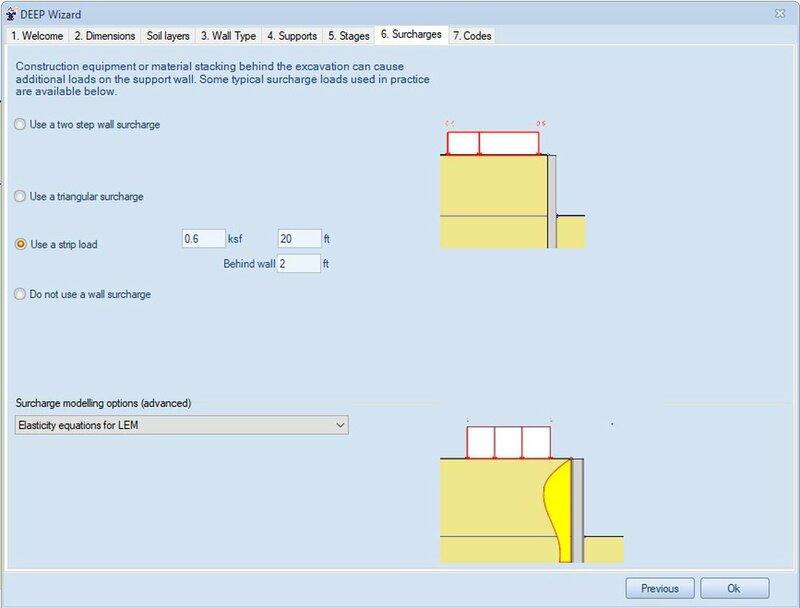 DeepEX offers optimization tools that can help the user to optimize the wall and support sections. Though, the user should select the original wall type and run the analysis. The software keeps the wall type and proposes wall sections that offer enough structural capacity. 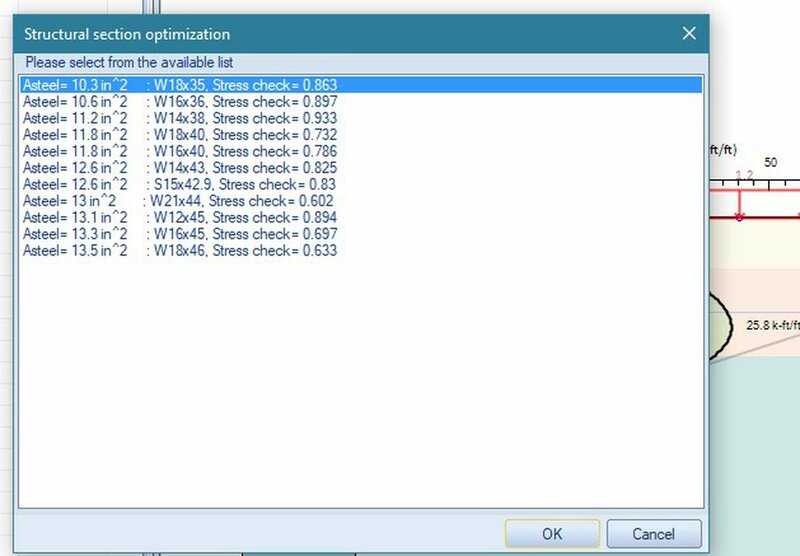 Th ser can select the ideal section from lists of suitable sections presented by the software. DeepEX Software can be installed on a certain device (office desktop, office laptop, personal PC or laptop) and the activation is specific for that machine. Users generate, from their device, unique codes that produce the final activation code for the license. Instructions on removing and/or transferring the license into a new device are provided by our team. What is a USB key license? The USB key license provides mobility to the user, as DeepEX software can be installed into several devices in the office/personal laptop/desktop etc. Each time the user plugs in the USB key into the device, the USB key unlocks the software and the software is ready to use. The Server key is installed on the company’s network and DeepEX software is installed into multiple devices on the network’s reach. After the network installation is complete, the software is ready to use in every device it has been installed to. Network licensing works also in different offices as we provide global licensing. How to install a single-use license? Instructions on how to install and activate the license and the software link are sent to the user by our team and the activation code is provided by us. In addition, instructions on transferring into a new device and/or removing the licensing are also provided by our team. How to install a USB key license? Detailed instructions on how to install the USB key are provided, alongside with the software link. The USB key is shipped to the user’s address with no extra shipment costs. Complete, detailed instructions on how to install the network license are provided by our team, alongside with the software link. The server key is shipped to the user, with no extra shipment costs. Can I switch from a single-use license to a USB key license or a Network license? Yes, absolutely. We can always assist with switching licensing, with the equivalent extra purchase. How many seats are in a Network license? The Network license seats are equal to the number of purchased licenses. The minimum requirement for a Network license is to have 2 seats. For further information please contact us at sales@deepexcavation.com. How can I purchase DeepEX? Do I need to pay annually for the software? No, it is one time purchase. We recommend keeping up to date each year with the annual maintenance plan, which offers technical support for any license issues and we review geotechnical issues, models and designs. Is there any DeepEX educational discount? Our company values education at most and as we want to be a part of sharing knowledge and expertise to the next generation of engineers, we have a very special offer for licenses for academic use, where you can purchase 1 DeepEX license of your chosen package and we will provide you with up to 20 licenses for your lab and students.